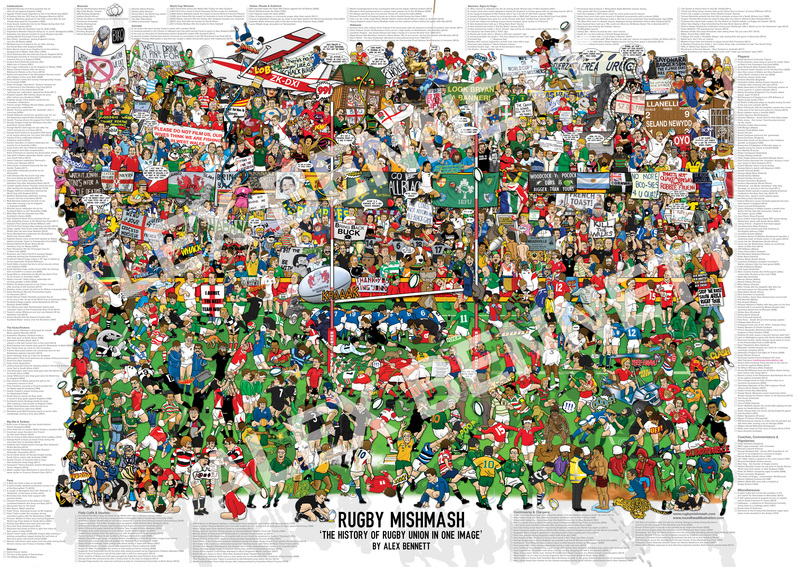 Rugby Mishmash, the third in the Mishmash series. 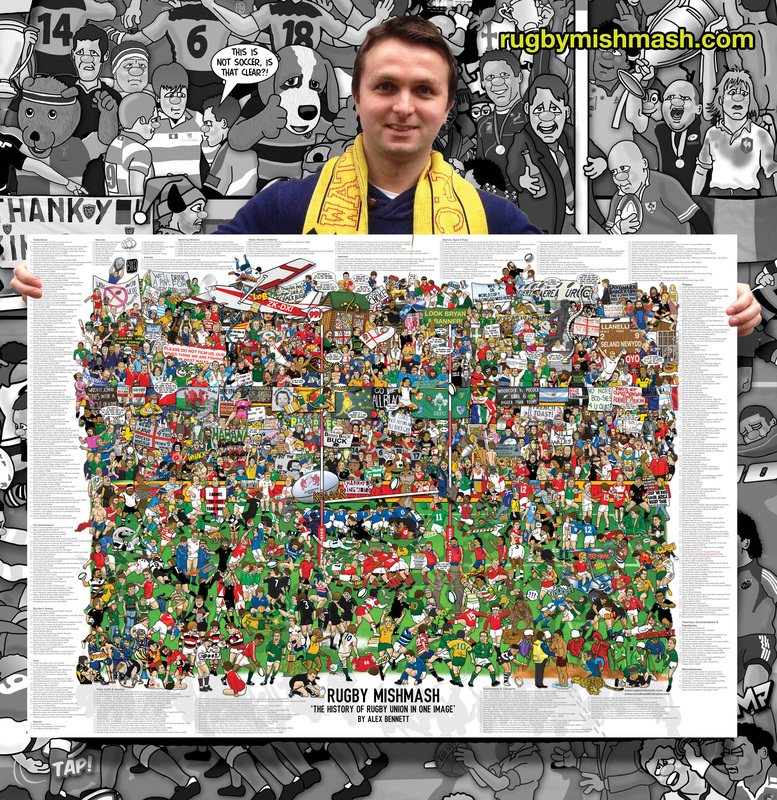 Release in mid-July 2015, ‘Rugby Mishmash – The History of Rugby Union in One Image’. 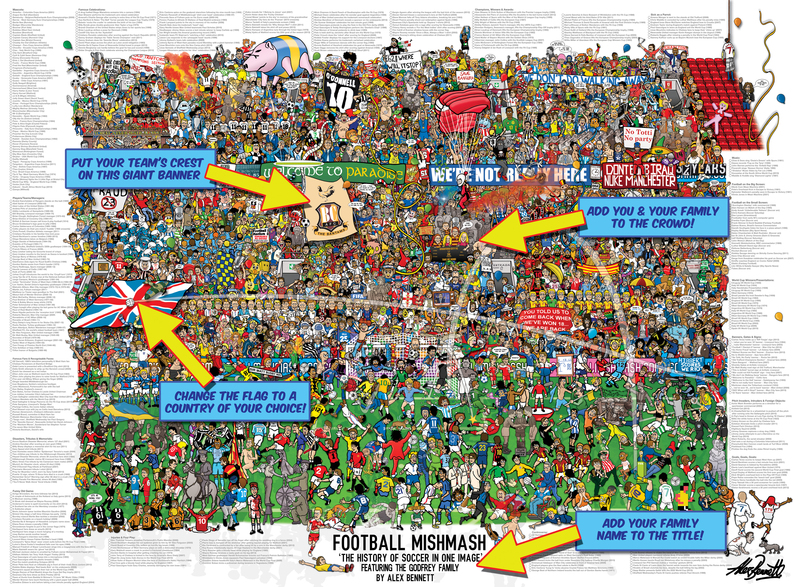 Follow me at @footymishmash on Twitter! ‘Rugby Mishmash – The History of Rugby Union in One Image’ is the third in the Mishmash series. 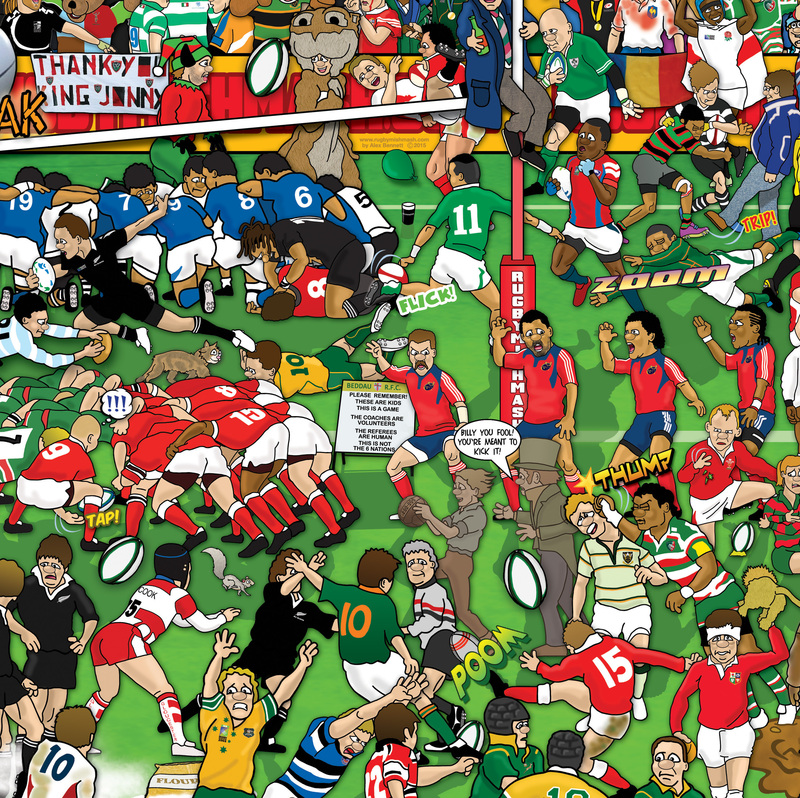 Released on 20th July 2015, ‘Rugby Mishmash – The History of Rugby Union in One Image’. 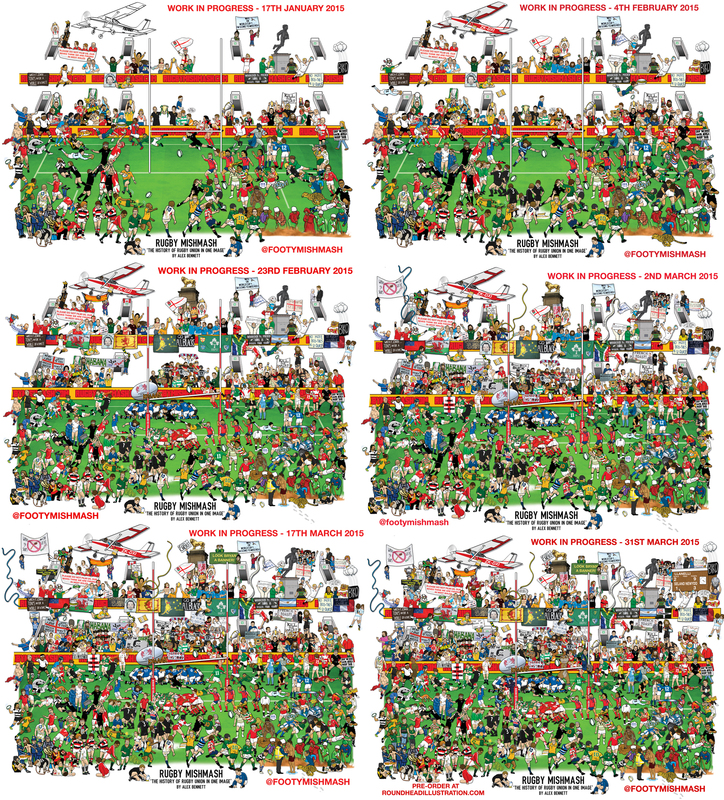 This image has taken me nearly nine months (approximately 1500 hours) to complete. I have received an unbelievable mixture of ideas & suggestions via Twitter & Facebook of what to include from all corners of the globe. 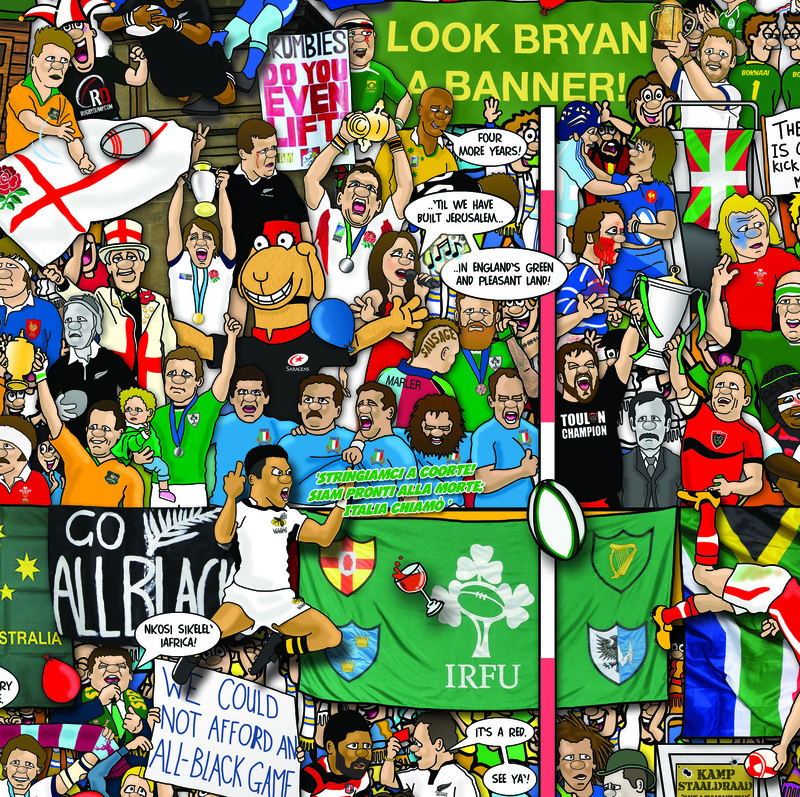 I hope you feel it captures the spirit, energy & of course humour of rugby! 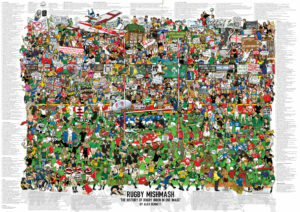 Your Rugby Mishmash poster is 69cm (height) x 99cm (width) and is printed on 170g high quality paper with a gloss finish. 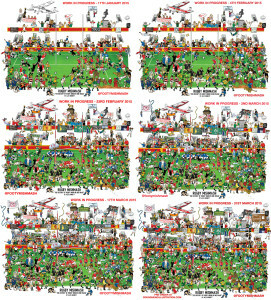 Your poster will come in a sturdy cylinder cardboard tube. Received on Saturday 25th and have spent many hours identifying the various images. And still many to go! It will be a great talking piece with my Rugby friends. 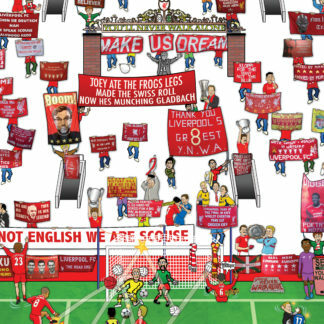 A fantastic piece of work, bringing back many memories and really delighted with it. 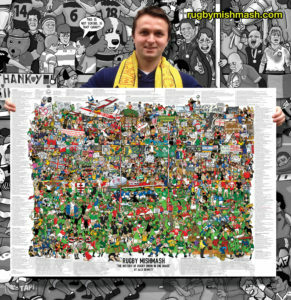 Hours of fun and interest in this giant representation of the rugby game’s history, always something new to find, remember and smile about. Talented Mr Bennett! Appreciate that Phil! 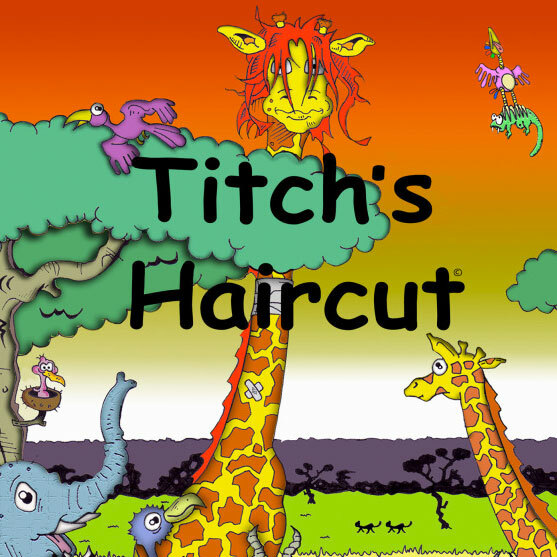 Hope it keeps you entertained for a good while. Thanks again, Alex. I love this, my wife got it for my Christmas and I’m still finding new wee nuggets in there. Only thing missing that I would have loved to have seen would have been your take on John Jeffrey and Dean Richards taking the Calcutta Cup for a tour of Edinburgh pubs. Many thanks Martin. I’ve made a note of your request should there ever be a 2nd edition! Brilliant poster!!!! One very happy son in law who is proudly displaying your poster in his hallway. Have recommended to all my friends. Thank you Alex!